This is a Competitive Upgrade for owners of Sibelius, Dorico, MixCraft, NotateMe, Notion, Overture, Score, StaffPad or Encore. To activate the software you must provide MakeMusic with proof of ownership of one of the products mentioned above by submitting the serial number of the product. This is done when registering your software with MakeMusic. 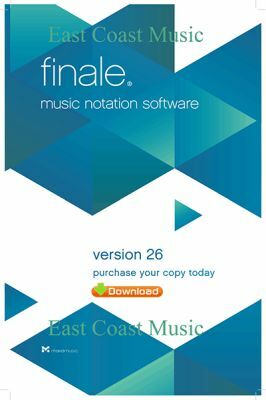 This is a fantastic way to get a full version of Finale at a really low price AND, you'll still be able to keep the competitor's product too. If you have any questions, feel free to email us.